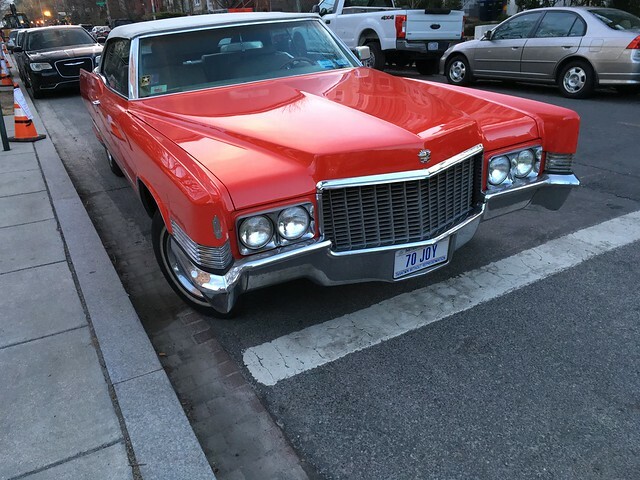 This entry was posted in Automobiles, DC. Bookmark the permalink. That and the fact that I am now sitting in a 12-ton, 38-ft motorhome that gets considerably better fuel mileage than those old big Caddies. 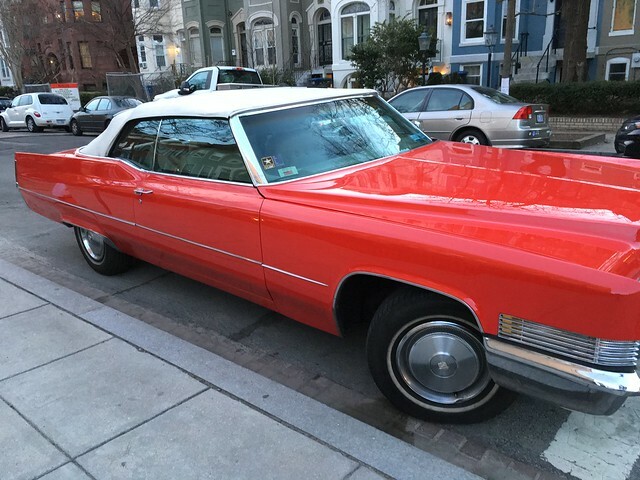 BTW, another data point: I learned to drive in my mom’s 1960 Cadillac. It was very similar, chassis and engine, to the 1970 one in your pics. And it was fairly fast, with a 400 plus cubic inch engine. Terrible horrible unsafe brakes. So so handling. Then we got a ’68 Volvo. 4 wheel discs and pretty good handling. A tiny two liter engine, 120 cu in, about 1/4 the size of the Caddy’s. Yet it was virtually identically fast, both in acceleration and top speed, as the Caddy. It also had more rear seat leg room – a lot more. And it had a roomier trunk than the Caddy. I like the license plate. That car is clearly a labor of love.